In this article we’ll shed some light on our experience at this inspiring event. 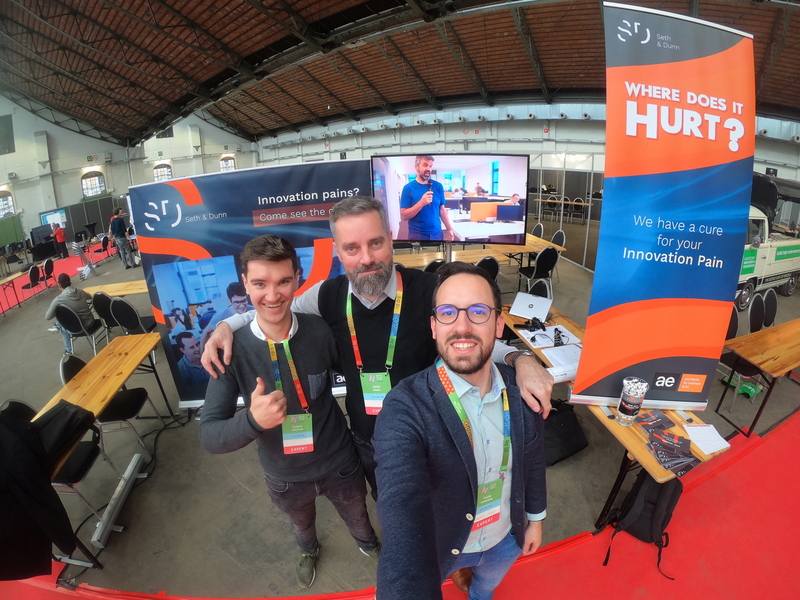 Hack Belgium 2019 - What's in a name? Imagine an event where people are eager to work together on innovative solutions, help each other out and are willing to learn more…That is Hack Belgium. It’s an innovation event which brings together more than 1000 people who get the opportunity to come up with solutions for several big societal challenges (e.g. Sick No More, Hackable Cities,…). During this event, the teams tried to come up with an idea which they can elaborate and eventually pitch in front of a jury. Along the way they had the possibility to attend workshops to get inspired, get feedback and learn new methodologies. Later on in this article, we will talk more about the workshops and coaching we provided as Seth & Dunn. The location at Brussels was divided into two main areas. The Playground and the Experience Zone. The Playground was a place where all the teams could sit and work on their ideas. The plenary keynotes were also held on the Playground. On the other hand, you had the Experience Zone. This zone existed of a fair where all the experts, including us, were able to showcase their business and activities. On the fair you also had several smaller rooms, which the organizers called huddles, where the workshops took place. Each societal challenge had their own huddle. In short Hack Belgium 2019 was all about open-mindedness, helping each other and learning. We had set up our Seth & Dunn booth in the experience zone. In this booth, we informed people about how we help organizations, from start-up to megacorp, to bring more structure to their innovation. We do this on the one hand by installing a structured innovation approach together with the organizations, and on the other hand by focusing on one idea, creating an MVP and putting it on the market to validate the value as soon as possible. All this by using our structured approach and simultaneously de-risking the solution. We not only explained them our structured approach, we also showcased how we could help with their specific innovation pains. For this we used our Innovation Symptoms Card. The Symptoms Card contained all the possible innovation pains we as Seth & Dunn can cure together with the ‘patient’ / organization. Most of the people we talked to, recognized a bunch of the symptons we had marked down. Some of the main points of recognition: I need more structure and guidance, I fell in love with my product but have no customers, how do I come to viable ideas? During Hack Belgium, it struck us that these were the pains most teams were facing. 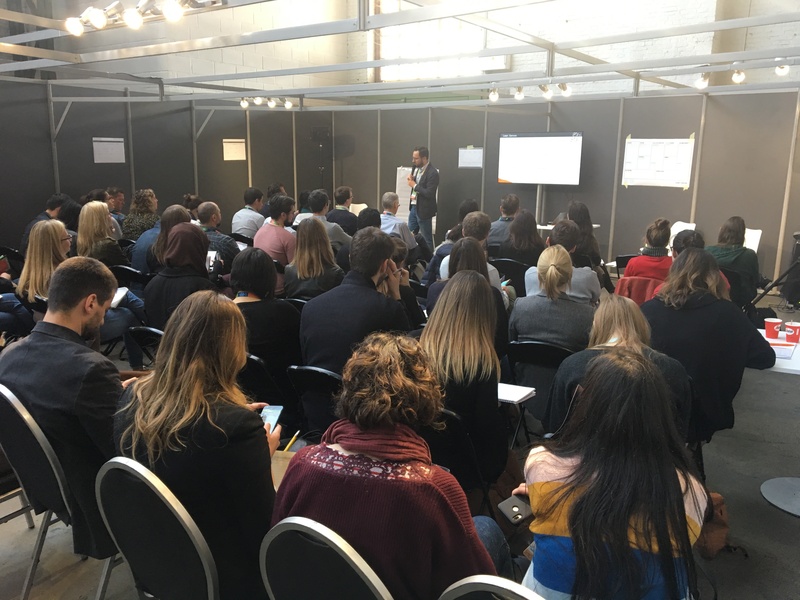 We demonstrated our approach and methodology in our workshops and at our booth, and provided some hands-on support for all teams that were struggling at pitching, validating their ideas, challenging the business value of what they were trying to do. During Hack Belgium we organized 2 workshops to bring more structure to the hacking process of the teams. The first workshop focused on empathizing with the customer to prevent falling in love with the product thus not the problem. We used the Value Proposition Canvas for this purpose. By starting from the “jobs to be done” of their customer, it was easier to find the pains and gains and how their product or service might deliver pain relievers and gain creators. This workshop mainly focused on curing 2 symptoms: I need more structure and guidance & I fell in love with my product but have no customers. The second workshop focused on the next steps after the Value Proposition Canvas. By looking at the Lean canvas and experiment reports we helped the teams to cure their uncertainty concerning whether or not their business model was viable. Building a business model is relatively easy. Being sure it makes sense is a lot harder. The key message we brought was “Get out of the building” (Steve Blank). We tried to motivate the teams in talking to potential customers, looking for evidence to validate their assumptions and thereby increasing the confidence in their idea. After three days Hack Belgium it was a warm surprise to see that the teams we coached, really did something with our advice. Some teams prevented to fall in love with their idea and pivoted their idea multiple times. 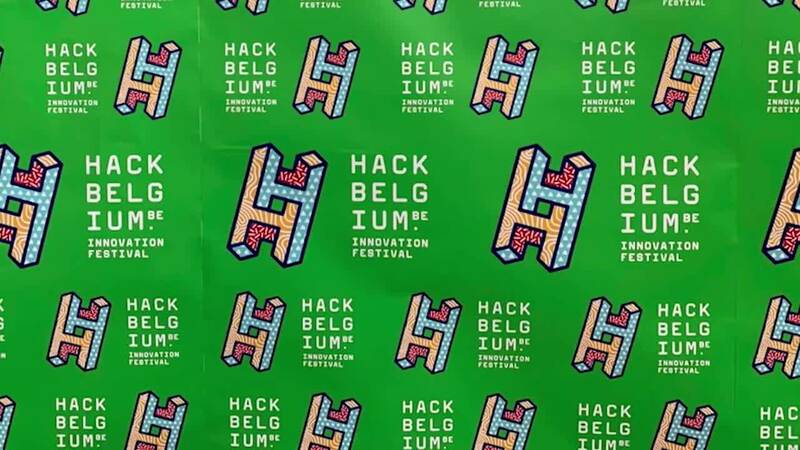 Others questioned potential users on and outside the Hack Belgium event to look for evidence to validate the assumptions they made concerning their business model. They all told us that these methodologies and tips were the structure they needed during their hacking process. We have an idea but what’s next? How do we know we are targeting the right customer? How can we deliver value to an ecosystem?… These were all questions the teams asked us. We not only gave them structured methodologies through our workshops and at our booth, we also sat down at the Playground and helped them with these specific questions. On day 3 of the event, we also coached the teams with their pitches. With a panel of 4 experts in each huddle we gave the teams hands-on tips & tricks on storytelling, structuring their pitch and highlighting the viability, novelty, impact & eco-friendliness of their idea. We were amazed by the energy, eagerness to learn and helpfulness of all the people we spoke at Hack Belgium. It was an amazing journey were we learned through our workshops, hands-on coaching and the feedback of the teams that our cures really work. They helped the teams to bring more structure into their approach, come to a viable and validated business model and prevented them to fall in love with their idea. Thank you Hack Belgium and all attendees for having us! Also facing innovation pains? Visit our Seth & Dunn website and read some of our prior blogs or just give us a call. Thanks again for reading this far. I hope you can use some of our tips in your innovation approach. Please like or share if you wish to inspire others! And feel free to give us a shout if you have any questions or remarks!